Leading Carpet Cleaning is a full service carpet cleaning company, catering to commercial businesses and residential homes in the Greater Orange County, California area. We are completely licensed and insured to provide our professional expertise and services to the community at prices you can afford. Our technicians possess the required credentials and attributes that make them more than qualified to perform the services we offer such as training, experience, and skills. 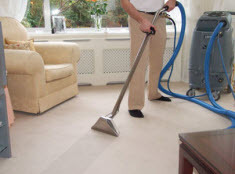 Additionally, Leading Carpet Cleaning utilizes premium quality products and equipment exclusive to licensed professionals to ensure our customers receive nothing less than maximum results. With Leading Carpet Cleaning, you can expect a phenomenal experience every time as we apply friendly customer service, high moral values, and exceptional work ethics every time. Leading Carpet Cleaning would like to extend our customer service for our Orange County, California commercial and residential customers online, by compiling a carpet spot removal guide to help keep your carpets in prime condition. Special Water-Soluble Stain Removal – Special water-soluble stains such as; blood, chocolate, coffee, mustard, tea, vomit, and wine, among others, are more complex than other based stains and require a little more power to remove. Please consider carpet manufactured out of wool or wool blends should substitute the water with a mild soap instead when formulating the solution. Mix together 1 tbsp ammonia and 1 cup water to remove special water-soluble stains. Water-Soluble Carpet Stain Removal – Examples of water-soluble stains include: alcoholic beverages, berries, colas, excrement, food, dyes, gravy, ice cream, jelly, milk, mud, washable ink, and wet or latex paint. These stains are a far more easy to remove. Combine ¼ tsp non-bleach detergent or white vinegar in 32 ounces of water (do not use hot) and mix well to treat the majority of water-soluble stains. Fat, Oil, and Wax Carpet Stain Removal – These stains don’t necessarily require a solution unless a film or residue remains. If one does, use white vinegar and water to remove the subtle stain. More often than not, this stain can be completely removed from carpet easily with paper towels and an iron. Set the iron on a “warm” setting; don’t use the hot setting as that can singe the carpet. Place a paper towel right over the top of the stain. Then apply the iron with mild pressure to pull the stain up. The fat, oil, and wax will absorb into the paper towel with ease, lifting away any sign it was there. Cigarette Burn Carpet Stain Removal – With a dull knife, gently rubbing off the blemish caused by a mild scorch from a cigarette by gently scraping the pile of the inflicted area. Glue Stain Removal – Apply rubbing alcohol onto a cotton ball or cloth and sponge it on the glue, use your fingers to work the alcohol into the glue. Wipe away the residue with a clean, dry cloth as you go and repeat until the glue is completely dissolved. (Depending on the size, it could take multiple cotton balls). Gum and Sticky Candy Carpet Stain Removal – Place 1 or more ice cubes on the gum and candy until it is frozen. With blunt edge like a spoon, spatula or butter knife, shatter the stain. Pick up and discard the larger fragments and vacuum the tinier remnants. 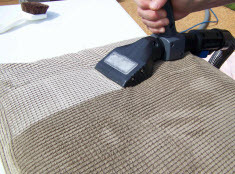 Nail Polish Carpet Stain Removal – If the polish is excessive, multiple rags may be required. Apply a generous amount of nail polish removal on a rag and work the polish out. 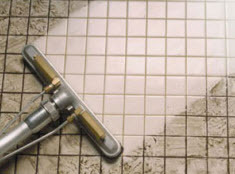 Urine Carpet Stain Removal – With a paper towel or dry rag, absorb the excess liquid; it may take more than one rag or paper towel depending on the size of the puddle. Use moderate pressure to blot the remaining stain with a damp cloth. Combine one part water (not hot) and one part white vinegar mixed in a spray bottle and apply the solution onto the stain and allow it to set. Mix ½ tsp of clear, mild, non-bleach detergent with 32 ounces of water and layer that solution on top of the previous application. Blot the treated area to remove the stain with firm pressure and a dry rag. –	Start removing stain from outer perimeter of the stains and come towards the center. Do not scrub or rub as you remove carpet stains, only blot, doing otherwise will push stains deeper into the fibers and spread them out. –	Dyes and print that are on rags, towels, and paper towels can potentially transfer onto carpet during stain removal, resulting in more staining. Only use white cloths, towels, or paper towels to treat spots to avoid the possibility. –	Always perform a patch test by applying a small amount of the solution in an inconspicuous area; no matter if it is household remedy or a commercial carpet cleaner. –	Do not use hot water to treat stains. Hot water can set the stain into the carpet making removal impossible or extremely difficult, and never over saturate your carpets with liquid. If you have stains that are proving to be a challenge, contact Leading Carpet Cleaning to tend to the carpet stains in your Orange County, California home or business!